Voted Best Movers Tampa 10-yrs in a Row! 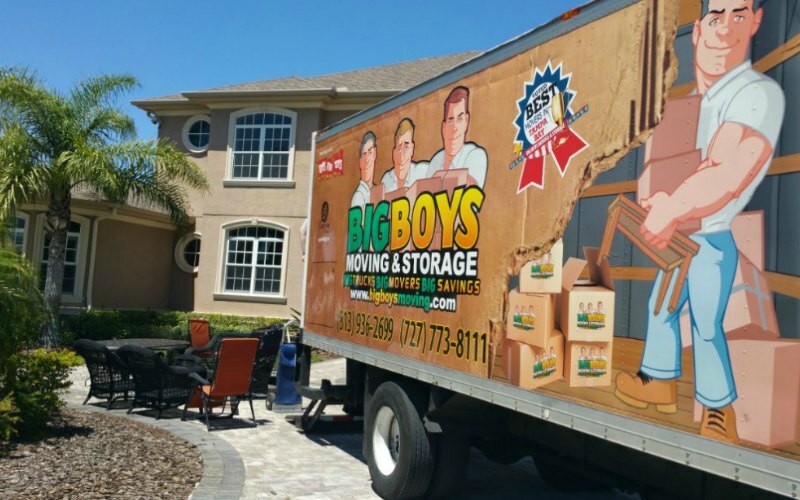 At Big Boys Moving and Storage, our trained, professional movers help our home and corporate moving customers with the successful planning and execution of all moves, large or small. Whether you are looking to move a two bedroom apartment, a five-bedroom home, or a three-story corporate office, we make your move as easy as 1-2-3! In life, time is money. We understand that a relocation can be very disruptive both to your personal life and your professional life. This can mean lost wages due to needing time off work to meet your local movers or closing the business doors for weeks while you relocate. All of this is difficult enough and we don’t believe that your move should unnecessarily add to that difficulty or burden you with obscene expenses. To remedy this, we strive to have only the best movers move your belongings as quickly and efficiently as possible without sacrificing attention to detail, professionalism, or congeniality. So, when our team shows up at your door, we show up on time, treat every member of your family with the respect that they deserve, and get right to work. We don’t waste your time, we don’t make you do all the work, and we don’t stand around doing nothing just to increase our fees. We know that as local movers, our reputation depends on your satisfaction and we strive to satisfy you in every way possible because your happiness means our success as a company! In addition to being a careful and professional moving company, we are fully bonded, licensed, and insured movers with over 13-years of moving experience. We treat your belongings like our own but because we are a professional and reputable company, we are fully insured for those “just in case” situations. We believe that your possessions should be protected against every eventuality because we’d want the same for ours! 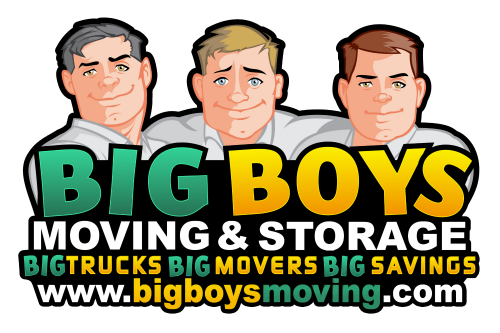 Big Boys Moving and Storage can handle ANY size move too! It doesn’t matter if you’re moving out of a six-story city building, a high-rise apartment, or a single-family home, we’ve got you covered! Not just when it comes to our insurance coverage, though, we’ve got a full staff of professional movers who are trained in the practice of safe moving! This includes how to use specialty equipment, how to properly pack and stack boxes, and how to get your belongings from Point A to Point B in pristine condition. Our courteous and diligent staff is dedicated to sound customer care and efficiency on the job. We are as dedicated to our business as you are to yours and will coordinate and execute an office moving plan that exceeds your expectations, but not your budget. How can we offer this type of service so affordably? We have the professional tools necessary to get your job done quickly but smoothly. This not only minimizes your downtime and protects your investment in professional equipment, but it allows us to reduce our labor expenses by facilitating shorter and less strenuous moves! Best Movers and Storage 10-yrs!